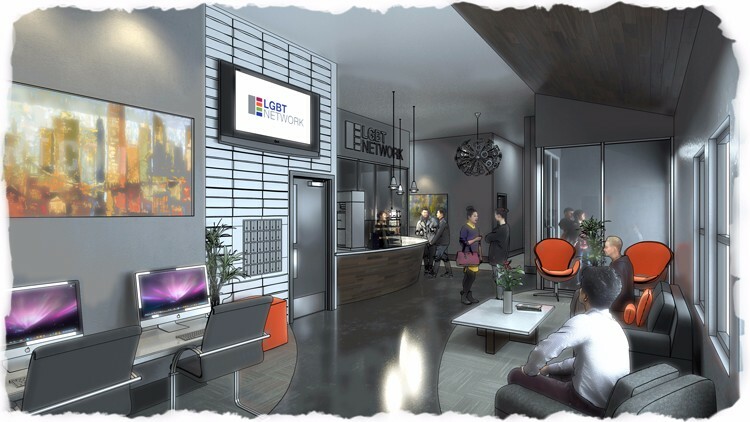 Paul Cataldo Architecture & Planning PC (PCAP) is proud to announce their newest green building project, designing the Long Island Headquarters of the LGBT Network. 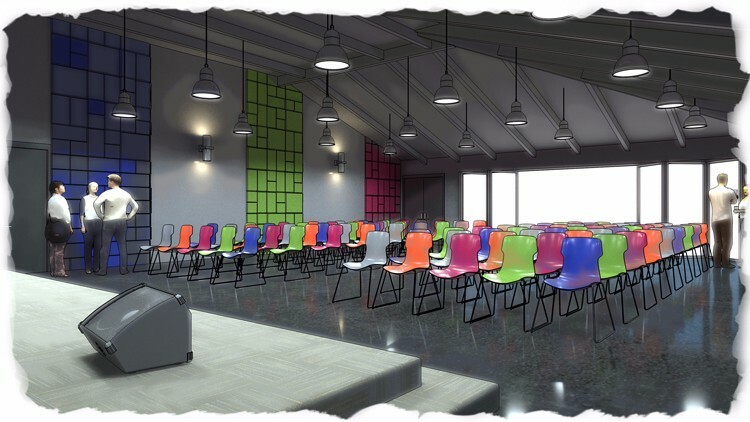 The 8,000 square-foot multifunction community center in Patchogue, NY will help the LGBT Network continue their mission of providing a safe space and resource for thousands in the lesbian, gay, bisexual, and transgender (LGBT) community on Long Island. 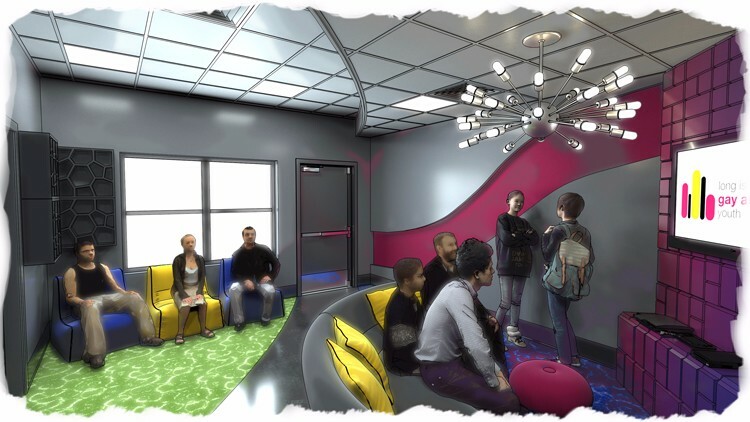 The community center, scheduled to begin construction in late fall of 2015, will boast a number of LGBT community resources including the Suffolk County administrative offices, conference and meeting rooms of the Network. Speeches, concerts, gatherings, dances and other community-based events will be held in a large community room that opens onto an outside plaza and amphitheater. 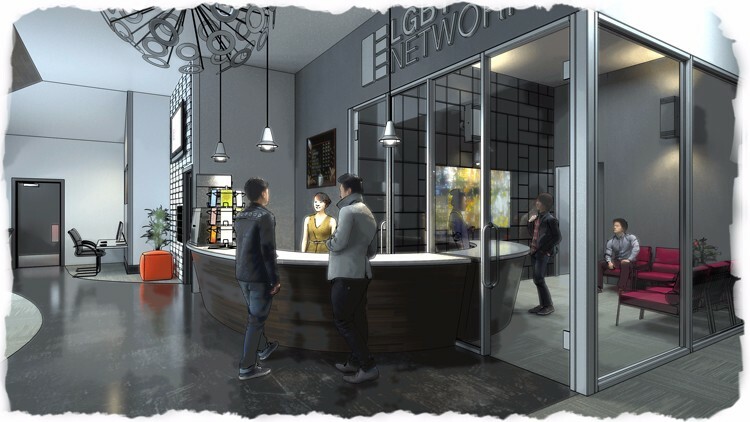 A public coffee bar and computer center will be incorporated into a soaring atrium area, boasting extensive natural light. In addition to serving the general public, the new center also seeks to serve what the Network calls “the couch-surfing youth” of the LGBT community—a disproportionate percentage of teens who are estranged from the traditional home environment. According to one 2012 study, as much as 40% of all homeless youth identify themselves as LGBT. 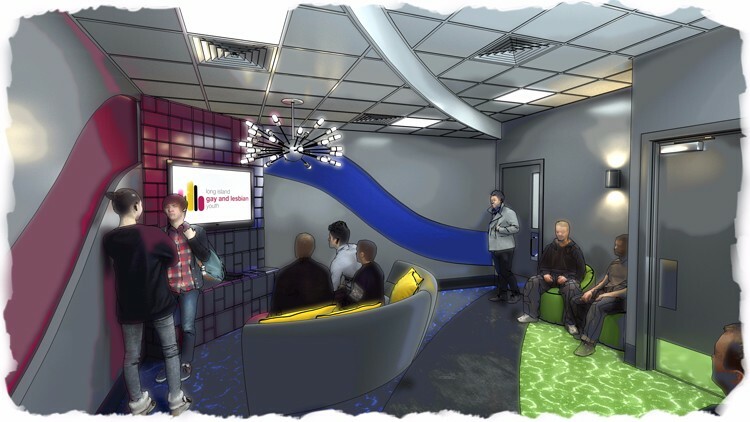 To provide these youth with an accepting atmosphere to “come home” to, the new LGBT Network community center will feature a safe and comfortable lounge area that includes video games, music, TV, and couches. Daily meals will be provided in a dining facility. Clothing and wardrobe facilities will be available for youth in need, for both casual and professional uses. Youth will also have access to showers, changing and laundry facilities, as well as personal mailboxes. The center will also provide the first health clinic featuring endocrine treatment on Long Island for the transgender community. The architectural design will incorporate green building features such as geothermal heating and cooling. PCAP and the LGBT Network will seek a LEED certification for the new community center through the United States Green Building Council (USGBC) at the level of LEED Gold, with the possibility of attaining the highest level, LEED Platinum. If LEED certification is attained, the center will be one of only three LGBT community centers nationwide with the Leadership in Energy & Environmental Design (LEED) status. Through energy efficiency, PCAP aims to decrease ongoing overhead costs for the non-profit so that donations may be put directly towards supporting the LGBT youth of Long Island. The LGBT Network is an association of non-profit organizations, sharing administration costs and resources to further their reach. 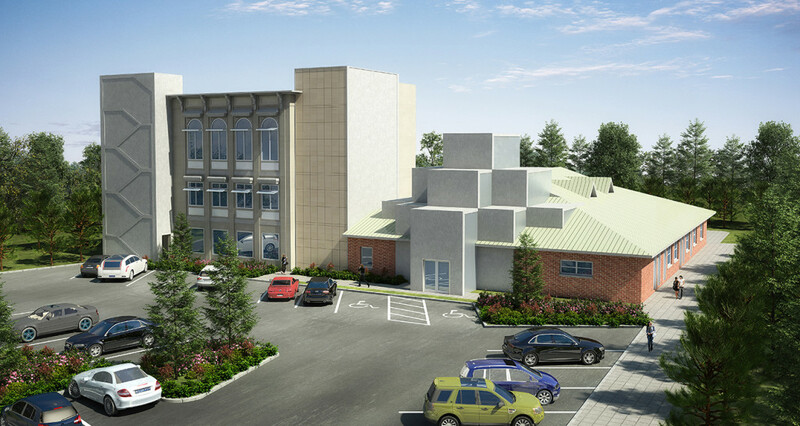 The partner organizations will utilize the new headquarters and community center to further their efforts, which include operating Long Island’s only LGBT HELP Line, school awareness and education programs, HIV prevention and screenings, senior care and community building for LGBT older adults, and government advocacy programs. Paul Cataldo Architecture & Planning (PCAP) is a green architecture firm based in Port Jefferson, NY. Prior projects of PCAP include residential, commercial, and public buildings. The firm has recently worked on an energy-efficient remodel of the North Babylon Public Library and built a net-zero energy home in Northport, NY. Owner Paul Cataldo also serves on the Advisory Panel for the non-profit Tesla Science Center at Wardenclyffe, having recently completed the construction drawings for the renovation of the new Visitors Center for the museum that will become the preeminent science museum on Long Island. For more information on their architectural services, visit the Paul Cataldo Architecture & Planning website at www.PaulCataldoRA.com or contact them at (631) 509-6800.